As opposed to what many believe, Scandinavian design isn’t exclusively limited to designers living and working in Denmark, Sweden, Norway and Finland. 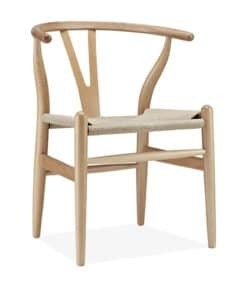 As a term, modern Scandinavian design refers not to a place of origin, but to a specific era in the history of furniture design marked by the development of a unique stylistic approach and a new design philosophy. This cutting-edge approach brought beauty, functionality and availability in the spotlight by emphasizing clear, simple lines and shapes that are at the same time elegantly brought together and perfectly suited for their use. 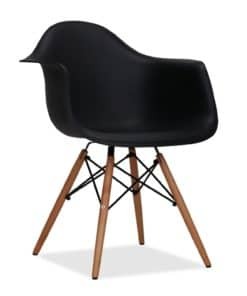 Born out of post-war period of social upheaval, cultural change and demographic explosion, Scandinavian mid-century design was the perfect answer to the rising demand for high-quality furniture of the ever-expanding populations of Scandinavia. Rooted in the shared social and cultural context of Scandinavian countries of the time, Scandinavian style incorporates various regional variations, but still retains its core qualities and traits, no matter where in the world was it designed and produced. With emphasis on low-cost, sustainable materials, technical innovation and subtle, balanced and deceptively simple aesthetics, designers that marked this era sought inspiration in nature, utilizing stunning organic yet sculptural forms. 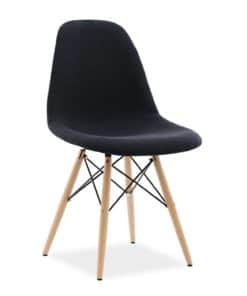 But, what probably remains as the single most recognizable trait of Scandinavian design is its ability to perfectly blend highest-quality and remarkable style with mass-production and affordable prices. 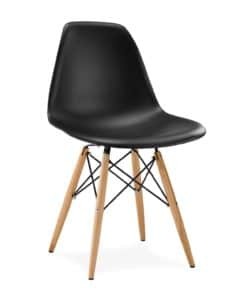 Ever since the foundations of Scandinavian mid-century design were first established, it was clear that this state of the art approach to furniture design was nothing short of revolutionary. The designs that ensued achieved remarkable success in a surprisingly short period of time, quickly making Scandinavian style a truly global phenomenon. Following this initial period, several successive waves of designers identified with the movement in the following decades and the periodic critical revivals can be noticed even today. 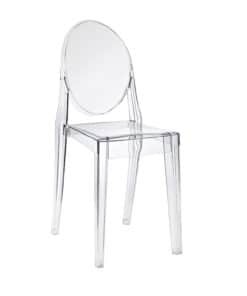 And this is not without good reason – the legacy of designers such as Alvar Aalto, Hans J. Wegner, Arne Jacobsen or Charles and Ray Eames is still shaping our idea of furniture and interior design to this day. And with the rise of urban populations and even greater demand for functionality and simplicity, the fundamental principles of Scandinavian design seem to be as relevant as ever. Here we will shortly consider five key elements that marked some of our favorite designs, but also Scandinavian style as a whole. 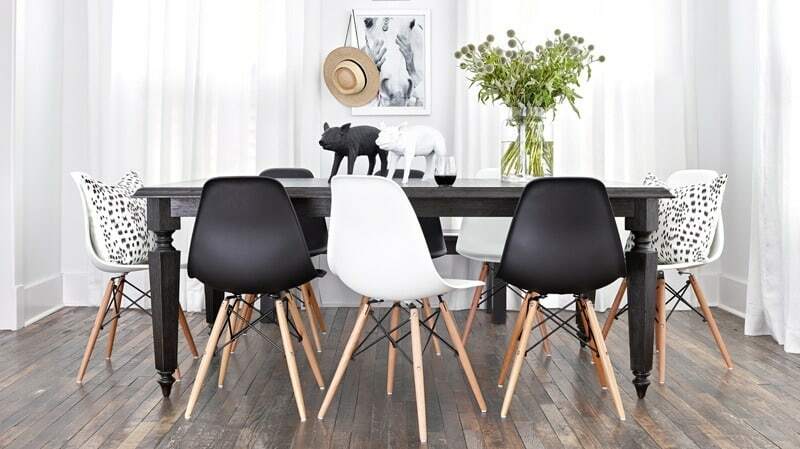 One of the characteristics that certainly made Scandinavian design what it is today is the approach to materials. On one hand, craftsmanship, strength and sustainability as the key considerations of the designers working in the post-war years gave wood a very prominent role in this design movement. Not only was wood abundant in the war-torn Scandinavia, but it also perfectly matched organic and natural forms that Scandinavian designers were after. On top of that, wooden designs were easily replicated in numerous colors and upholsteries, so as to fulfill the demands of every customer. While carpentry certainly played a prominent role throughout the history of Scandinavian design, subsequent waves of designers went a step further. 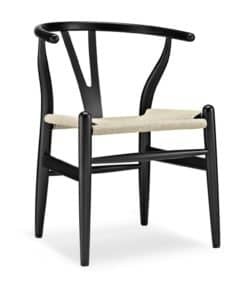 In search for affordable yet sturdy materials that could be easily mass-produced, some designers turned to another great inspiration of Scandinavian style – technological progress. Surely enough, pioneered by Charles and Ray Eames, a new generation of designers identifying with the movement focused their attention on a newly-discovered material that could be easily shaped and reproduced – plastic. Clean, elegant and simple shapes so characteristic of Scandinavian design are perfectly complemented by a subtle color scheme. The common use of pure white and pastel tones is rooted in the very environment of Scandinavia – during long and dark winters, subtle details in these bright colors manage to bring a touch of light, without standing out too much from the general idea of your interior design. 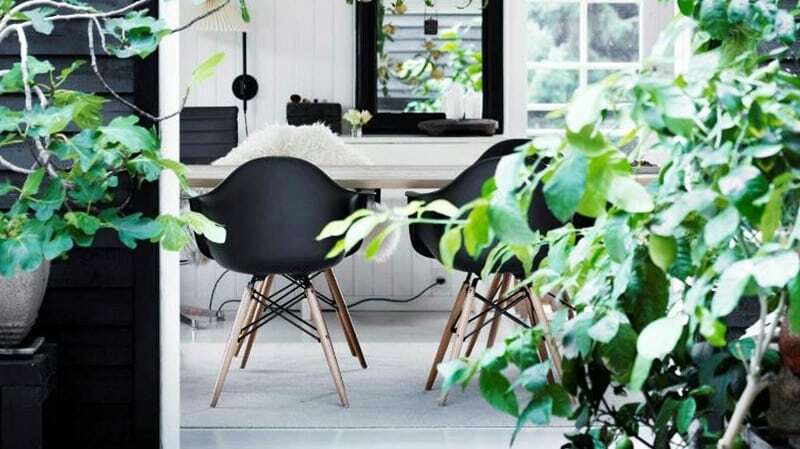 While it can also be obtained in vivid colors, maybe more suitable for some modern interior design styles, the originals were always produced in subtle and natural colors to further emphasize the minimalistic aesthetic of Scandinavian mid-century design. 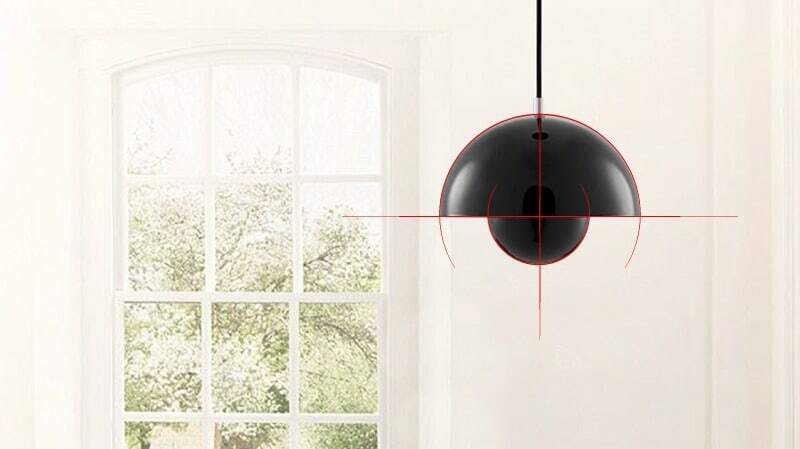 While Scandinavian style is certainly best-known for elegant and stylish furniture, many of the designers following this design philosophy also excelled in designing sophisticated lamps and lighting solutions. Big names such as Alvar Aalto or Poul Henningsen perfectly understood the way in which lighting influences the mood of a room, creating a unique and specific ambience. 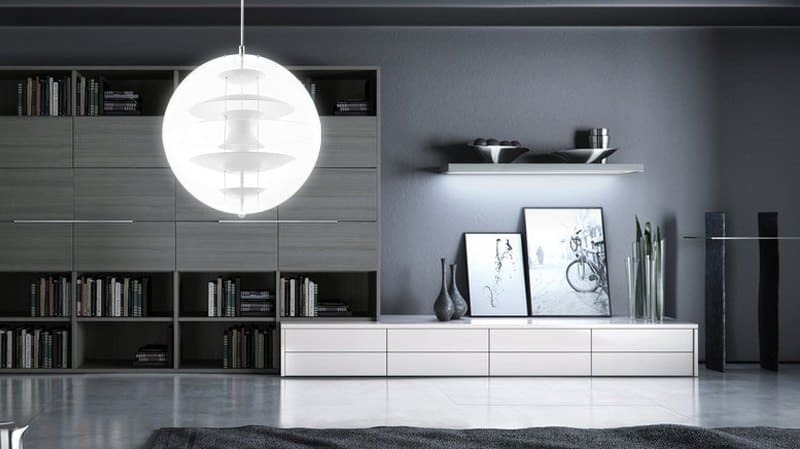 In pursuit of glare-free light, these designers produced numerous stylish, yet highly functional lamps that will perfectly enhance the décor of any room, playfully setting the mood. Chairs, lamps, sofas, interior décor – no matter what endeavor these designers undertook, clean geometry always played a dominant role. 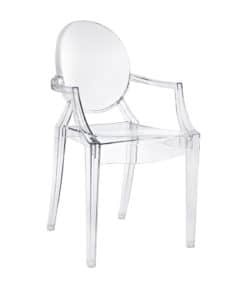 Parallel forms, straight edges and elegant and precise silhouettes replaced the clutter and unnecessary details so characteristic for baroque-style furniture that preceded Scandinavian mid-century design. But, don’t let the seeming simplicity of organic shapes fool you – the complexity of Scandinavian design as well as demanding manufacturing process behind them are subtly hidden by what appears like formal simplicity. Underneath it are precise angles, thoroughly thought-out joinery processes and days of careful planning. The final result is Scandinavian design as we know it today – clear, simple and minimal, but always balanced, stable and highly functional. 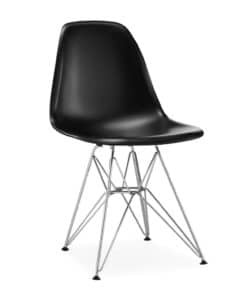 But, Scandinavian mid-century design didn’t influence just stylistic approaches and choice of materials – among the legacy of this design movement is the increased democratization of the market. In other words, Scandinavian design just wouldn’t be what it is today if it weren’t for its accessibility. By employing state of the art production techniques of the day, designers associated with the movement managed to combine high-quality with low cost, making these exquisite designs available for all and not just the selected few. Today, we continue this legacy by further pushing the limits of industrial production, without ever compromising on quality or style. 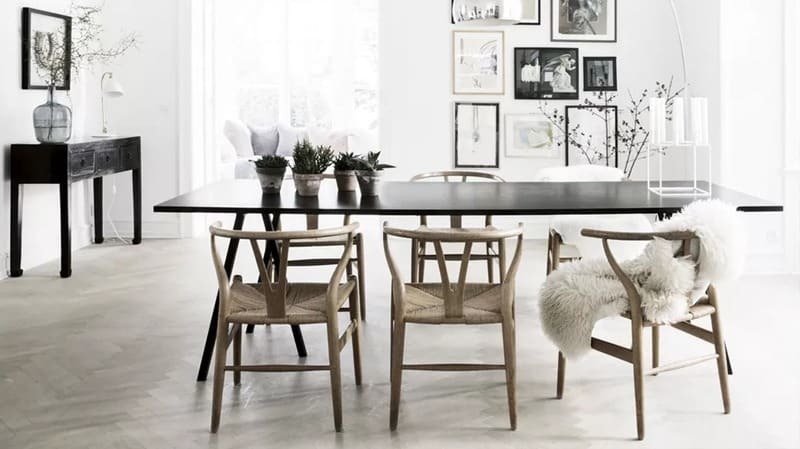 While formal and aesthetic aspects are certainly what made Scandinavian style so popular in the first place, the function and purpose play just as important role according to this design philosophy. All pieces considered to be exemplary of Scandinavian designs are versatile, comfortable and sturdy enough to last for years. When this design movement first began to emerge, these traits were directly related to the demands of the Scandinavian home of the time. Eventually, as the Scandinavian design conquered the world, they became a common trait of all furniture build to last.